08/01/17, 05:33 AM | Industrial Robotics, Factory Automation | BitFlow, INC.
Europe's largest drone show will form part of INTERGEO, the world's leading trade fair for geodesy, geoinformation and land management. IASEXPO has the clear aspiration of becoming established as the number one industry gathering for commercial and civil drone applications in Europe. NUST MISIS, one of Russia's leading technological universities, and Cognitive Technologies, a company which develops artificial intelligence systems for unmanned vehicles, will jointly organize VisionHack 2017. High employment of smart robots in various areas such as process industries, manufacturing industries, healthcare, and automotive industries is the crucial factor that is propelling the development of the global market. According to the report, global service robotics market was valued at around USD 9.01 billion in 2016 and is expected to reach approximately USD 24.10 billion in 2022, growing at a CAGR of slightly above 17.8% between 2017 and 2022. The need for collaboration and openness in information sharing were repeatedly emphasized by various leaders and experts at INTERPOL World. These fully integrated pre- and post-analytic automation solutions can enable high-volume throughput with minimal staffing to meet the needs for moderate volume labs up to the largest commercial laboratory operations. Flexible offline programming (OLP) solutions are extremely important for a company that is in its early stages of automation, which makes it a daunting task to make a decision that benefits both your current business and the future. 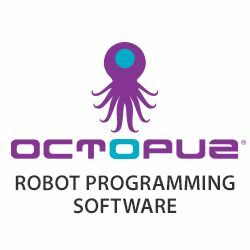 Read on to find out why choosing OCTOPUZ is the right decision at this stage.